Timothy L Correll Foundation Memorial Scholarships - Timothy L Correll Foundation, Inc.
We seek to find and grant scholarships to dedicated individuals who aspire to go to school to train to serve their communities as nurses or emergency responders. 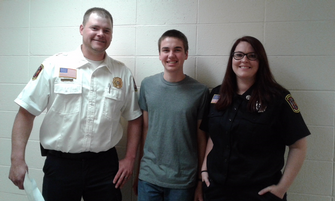 To be considered for a TLCF Scholarship, student applicants must be a Minnesota resident and enrolled or accepted into an undergraduate program in an accredited College or University for fall semester of the award year in one of these three programs: Fire Science/Firefighting, Paramedics, or Nursing. The TLCF Scholarship Committee uses personal statements and/or personal interviews, recommendations from instructors or program directors, and other individuals not related to the potential awardees in which to base their decisions. We award a minimum of four (4) memorial scholarships each year. The amount of the scholarship award is $750. We may make additional awards based upon available funds. Scholarship awards may be used for cost of attendance expenses.